The Supreme Court also approved a plan drawn up by the Alder Hey Childrens’ Hospital “for withdrawing treatment and bringing the 23-month-old’s life to an end,” as the BBC characterized the action. 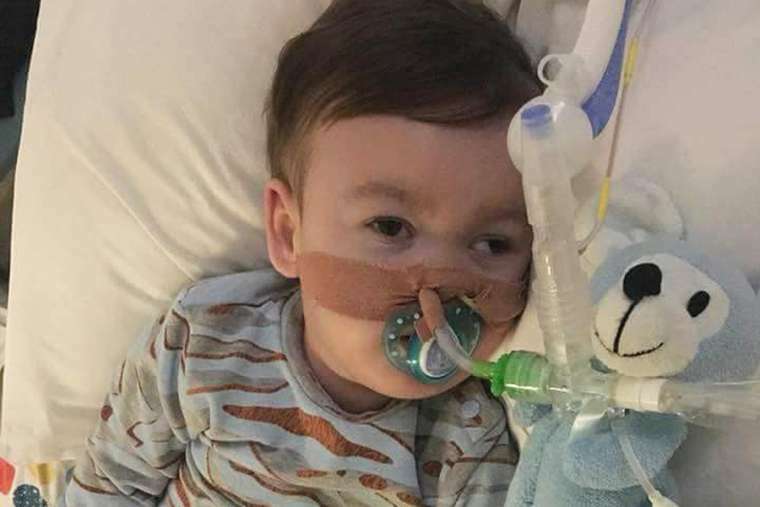 In addition, they have warned that Alfie might not survive the transport, an odd observation in light of experts’ opinion that Alfie will die within minutes once his ventilator is disconnected. claimed that denying the family the right to take Alfie to Rome was a ‘deprivation of his liberties’ and that the court’s previous decision to judge the case solely on the best interests of Alfie was wrong. ‘Please help us save our innocent child and give us the grace of asylum to keep our family safe and to stop all of this. ‘If your holiness helps our child you will be potentially saving the future for our children in the UK, especially the disabled. ‘We pray the problem we are facing is solved peacefully and respectfully no child deserves this, especially not a child of God’.